Car accidents are an extremely stressful experience for drivers, passengers, and car owners. 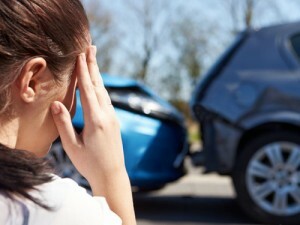 Injuries caused during an accident can make an already bad situation even worse. Alpha Care doctors are specially trained to help provide specialized medical care combined with chiropractic care for the best recovery after a car accident injury. Some injury sufferers never get the help they need. If you’ve recently been in a car accident and are feeling some residual pain, give the doctors at Alpha Care a call and let us help you make a true recovery. Car accidents typically cause injuries in the head, neck, and ligaments. We’ve compiled a list of common injuries seen in auto accidents. Head and brain injuries are some of the most common injuries seen in a car accident because the head can be jostled unnaturally and the head can hit the interior of the car on impact. Neck injuries are also caused by the fast movement of the body during the impact of an accident. Neck injuries are usually seen in the form of whiplash and strained muscles of the neck. Spinal and back injuries are also common. Sprains and strains of the lower back muscles can be mild to severe, while more serious injuries like herniated discs and fractured vertebrae can limit movement and cause extreme pain. The impact of a collision or strain against a seat belt can cause injuries to the chest and sternum region of the body. When chest injuries are seen, it is important to check for internal injuries and bleeding immediately. If you’re feeling pain or general discomfort after a car accident, please contact Alpha Care to let us treat you with our specialized approach with a combination of chiropractic care and general medical care to provide you with a quick and easy recovery. No upfront expense is required from you because we’ll work with insurance companies as well as your attorney to obtain payment for your medical bill once your case is settled.